I am quite found of Paneer. However, cooking it can be a hassle. You can get paneer generally at any Indian grocery store. For enthusiasts, Here is a recipe for making Paneer from milk. Here is a version of recipe that I use quite often. It involves two parts - Baking Paneer and Cooking the veggies. Thaw Paneer and cut in cubes. Mix Paneer with all the spices and milk/yogurt. 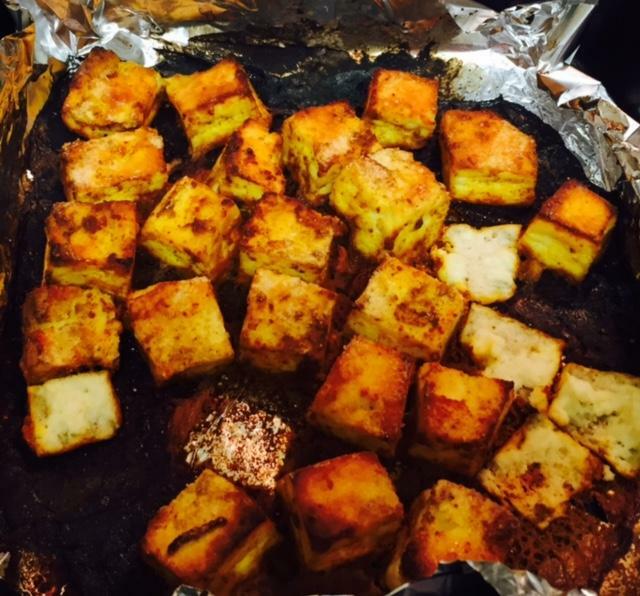 Place cubes in a baking sheet and bake it at 400F for about 30 minutes until Paneer is well cooked. Cut onion, tomatoes and cauliflowers. Heat oil in the pan and add cumin seeds. Once Seeds start to pop, add cut onions. After about a minute, add cauliflowers. After another minute or so, add salt, and keep stirring occasionally. 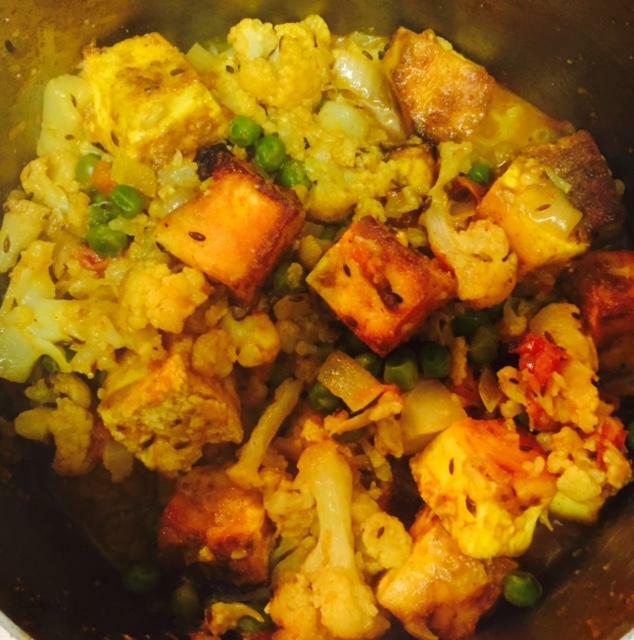 Once the cauliflowers are almost cooked, add baked Paneer pieces (about 3-5 minutes). Add a little amount of water and cook for about a minute. (optional) Garnish with cilantro leaves. Let it cool before serving. It can be served either Indian breads or rice.